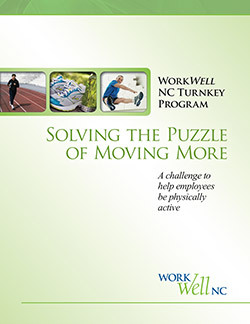 Solving the Puzzle of Moving More is a worksite wellness activity that encourages employees to be physically active. The activity is designed to be conducted over a five-week period. It can be modified to suit the needs of your committee and number of participating employees. The overview provides step-by-step instructions and guidance on organizing the activity. Several other related materials such as an announcement poster, sign-up sheet, activity log to track points, weekly newsletters, crossword puzzle, evaluation form and certificate of achievement can also be downloaded here.